Bear has been cranky and itchy and now he is hungry, very hungry. he is trying to catch a fish. He has caught something really big, but it is no fish. It is a polar bear without a home. Bear sets out to help his new friend find a home. When you friend is a polar bear it turns out that that isn’t quite as easy as it might first seem. Hungry Bear follows the success of Cranky and Itchy Bear. Like those books it is a delight to read. The text is simple and it rhymes, which is always appealing to youngsters. The illustrations are open and engaging. 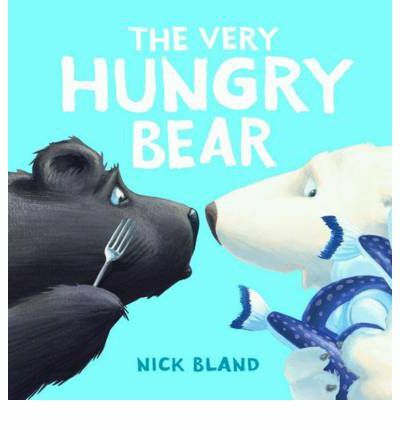 I am a fan of Nick Bland and this is a worthy addition to his bear series.